In the unfortunate circumstance you have need of a Hospital due to severe injury or illness, your experience may be different based on what you look like. If Mommy and Daddy’s names happen to be on the plaque at the interest listing Founders or Major Donors – you will e staying at the medical equivalent of the Biltmore. If however, you are black and poor – they may still save your behind…Although it probably will be more painful than the well heeled. Fastest rising drug problem in the US is Opioid addiction. Addiction which in many cases starts out with legally prescribed drugs, and progresses to street drugs like heroin. Studies over the last 20 years have documented persistent differences in patient treatment by race. Yet another study, implicating that the differential between how blacks and whites are prescribed pain medication, may be responsible at least in part for the massive rise in white addiction. We know the disparity is linked to racial discrimination on some level, but struggle to put our finger on the one cause. A new University of Virginia study suggests that many medical students and residents are racially biased in their pain assessment, and that their attitudes about race and pain correlate with falsely-held beliefs about supposed biological differences—like black people having thicker skin, or less sensitive nerve endings than white people—more generally. The study highlights how a confluence of mistaken attitudes—about race, about biology, and about pain—can flourish in one of the worst possible places: medical schools where the future gatekeepers of relief are trained. And it illuminates what I’ve called the divided state of analgesia in America: overtreatment of millions of people that feeds painkiller abuse at the same time that, with far less public attention, millions of others are systematically undertreated. Think of it as a pain gap between the haves and the have-nots, along lines of class and race. Unfortunately, the UVA findings are neither surprising nor fundamentally new. Back in the 1990s, two studies—one in an Atlanta emergency room, the other in Los Angeles—found that white patients being treated for long bone fractures were dosed more liberally than Latino patients in L.A., and more liberally than black ones in Atlanta. The authors put forward several possible explanations of the disparity: Perhaps patients in different groups expressed pain differently, or maybe caregivers interpreted pain differently in these groups, or perhaps nurses and doctors saw pain the same way across groups but just chose to remedy pain differently. 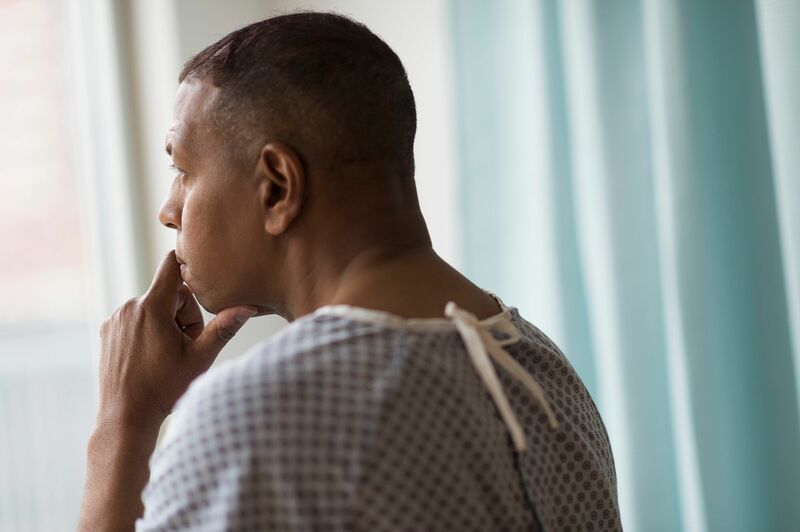 By the late 1990s, other studies found similar disparities in cancer care, where people receiving outpatient cancer care in places that mostly served minorities were three times more likely to be under-medicated with analgesics than patients in other settings. Speculation about the causes deepened: Perhaps inadequate prescribing for minority patients resulted from concerns about potential drug abuse, or maybe minority patients had more difficulty finding pharmacies that stocked opioid prescriptions, or again perhaps there was a cultural barrier in doctor-patient understanding and assessment. Into the 2000s, additional reports have confirmed the gap—again with no agreement about any single cause. In a sense, the pain issue echoes other debates about race in America. We know there is a disparity; we know it is linked to racial discrimination somewhere or on some level, or even to institutional racism. But just as in racial bias in the law and policing, we struggle to put our finger on the one cause. The truth is that there is no single cause for this disparity.